Last night at my birthday party, we made personal pan pizzas. After everyone ate, there were still tons of veggies and shredded cheese left over, so I decided to use the left-overs for an egg scramble. 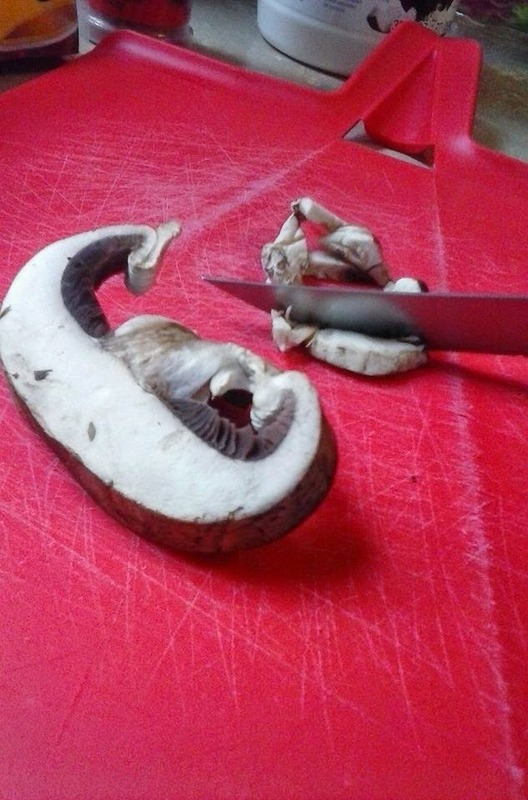 I started by cutting up the veggies. 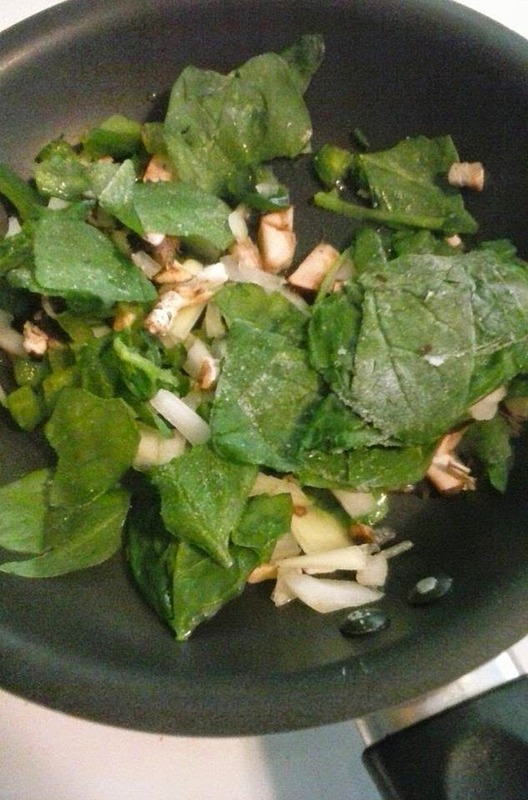 You can really use any vegetables you want, but I used spinach, mushrooms, green peppers, and onion. 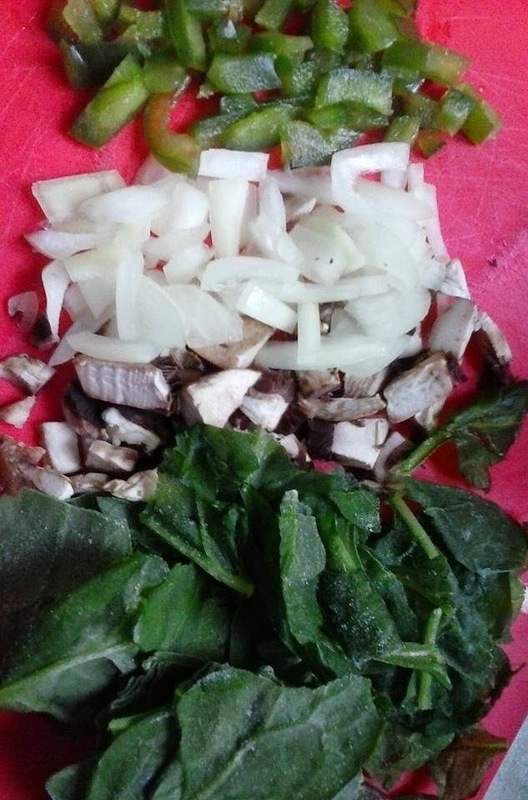 I diced each vegetable finely. 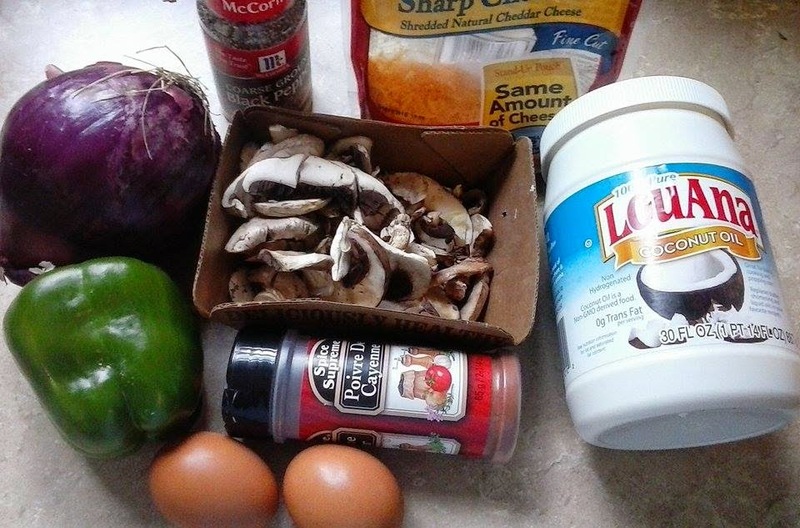 Grease a skillet with coconut or olive oil (I used coconut) and let the veggies cook on medium-high heat. 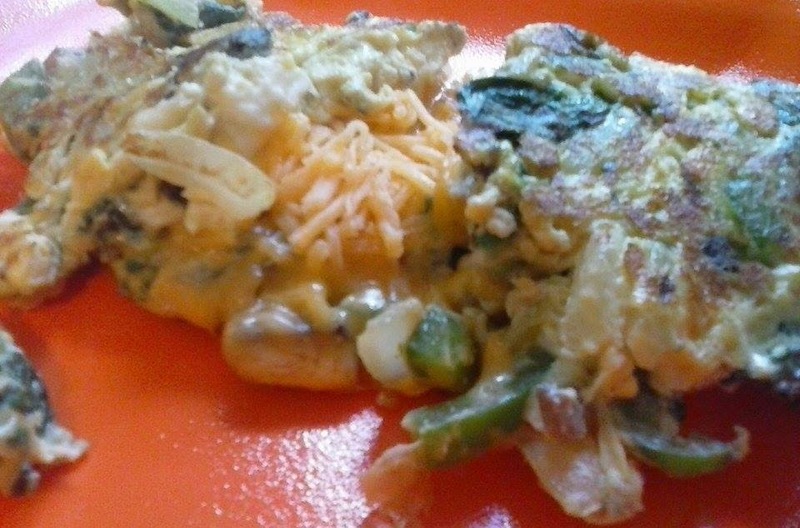 I like my vegetables fully cooked for omelets and scrambles, but if you like them still partially raw and crunchy, just cook them for less time. 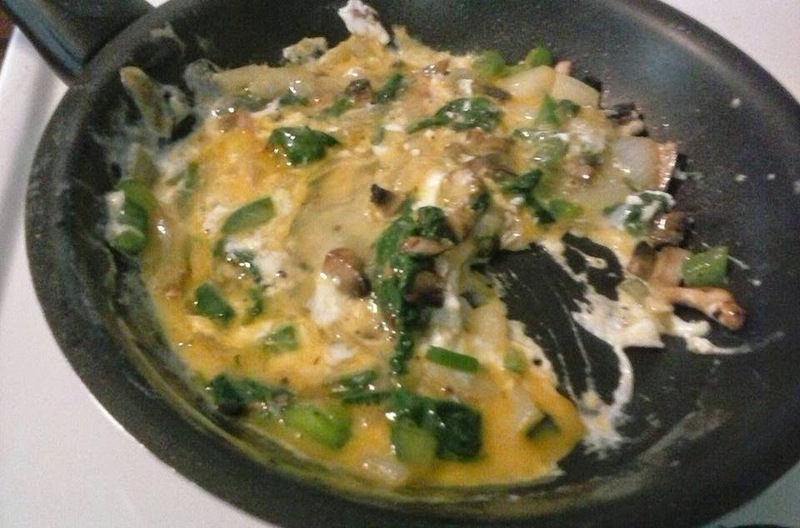 Then, I cracked two eggs into the skillet with the sauteed veggies, turning the heat down to medium-low. I broke the yolk and stirred the eggs in. I added a dash of cayeene pepper and continued to stir. After a little while of stirring, let the scramble cook on one side for about a minute and a half. Flip it over on the other side. Add 1/3 cup of shredded cheese and leave to cook for another minute. By now the cheese should be melting and the egg should be fully cooked on both sides.